We were too busy showing the game off at New York Comic Con last week to post a Fan Art Friday, but we’re back! This week we’ve got some more great art for you, including another great piece of “Official Fan Art” by one of our amazing contract staff! Cerebella drops one of her lines in this great piece by Parudy88. In this awesome piece by Celtikipooh, Ms. Fortune is something-something-head-pun! 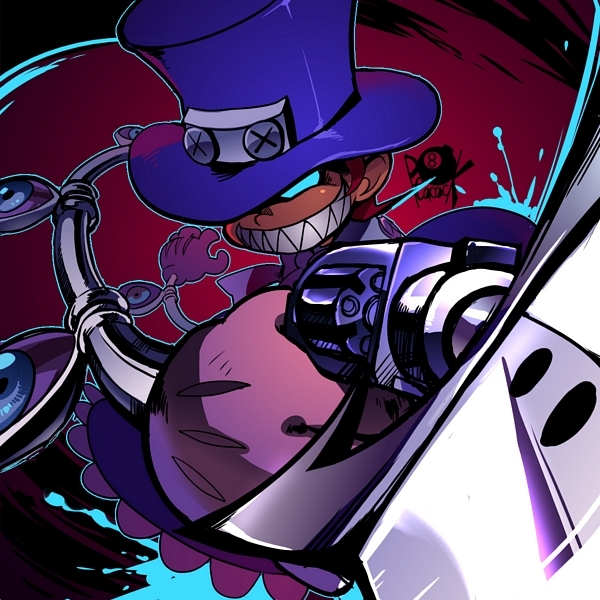 Peacock looks truly menacing in this excellent piece by Pixiv’s Yojio. The composition of this picture by Ebi is pretty awesome, but… who is this mysterious character!? Finally, we end with a bit of Halloween Official Fan Art by clean up contractor, LigerNekoka. Yay for Valentine fan art! Wow. All of these are really good! 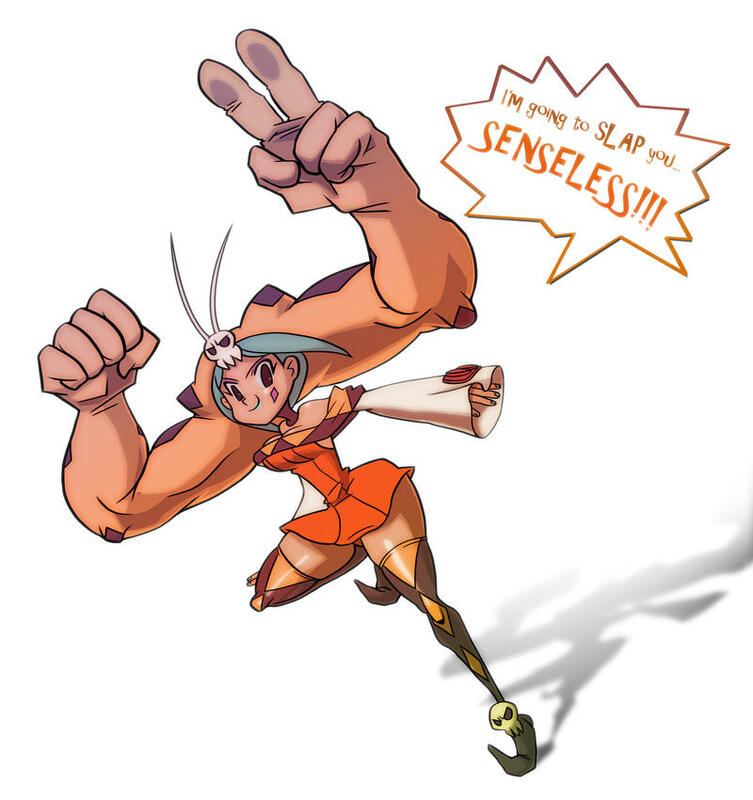 The one with Cerebella is really cool, and cutesy at the same time. The second one (The first with Ms. Fortune) seems like a very unique take on the character, given the lighter skin and yellow hair, as well as having a much more… aged complexion. Not exactly the style I usually pursue, but it definitely explores a new side of the character, and the comic book-like shading and lighting compliments it well. Now, Peacock… Wow. I can’t think of much else to say except “Wow”. This is the best Fanart collection I’ve had the privilege of seeing for Skullgirls here on this website, and this one’s the best of all of them. The extremely dynamic posture, the facial expression, the sweet detail to the textures and lighting even as it is still clearly Peacock is, in my opinion, unsurpassed by any other fanart I can remember thus far. Add to that the background, and the fact that her gun-knife is coming right at me, and this definitely brings out the intensity of her warped personality, in darkly beautiful manner. I salute this artist “Yojio” in the highest degree. That next character does seem very enigmatic. I remember that one or two of the currently-confirmed characters’ profiles mentions “Valentine,” including Painwheel. I don’t really seek out leaks for upcoming video games- I much prefer the gratification of seeing it when it’s officially announced- but could that be her? Regardless, the picture itself is definitely a good piece. The contrast between the pleasant background and the nurse’s poker-face glare, and the compliment to both by the color scheme, adds to the mystery. I love it! Finally, that little piece by LigerNekoka is really cute. It’s timing is perfect, too, with Halloween coming up. Great job, everybody! I look forward to future fanart! 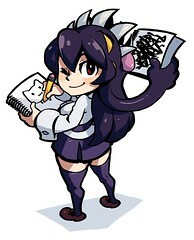 I’ll take that las Ms. Fortune pic in a bigger size for a desktop background, or stick art even! 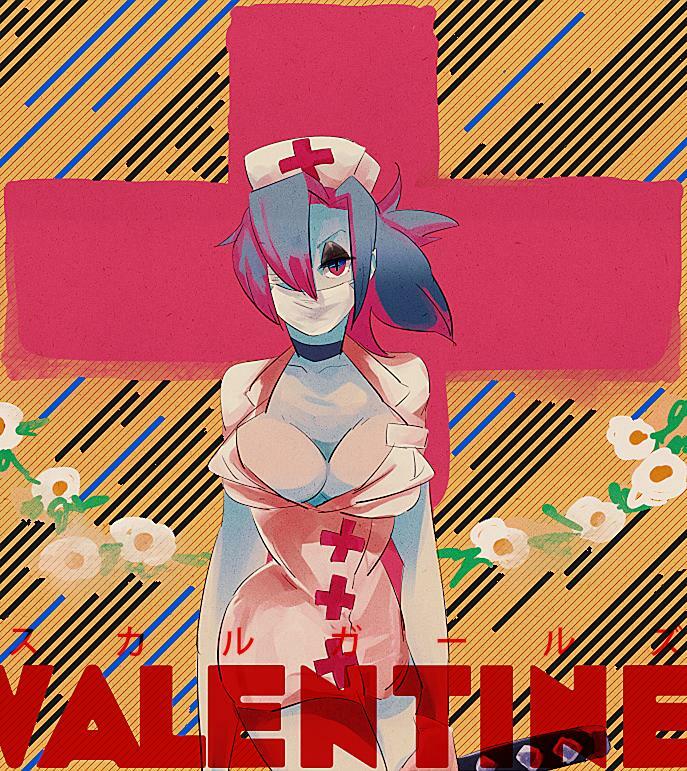 That valentine picture oozes style, that guys work is so cool looking! If you sift through some more of his stuff he’s got some parasoul and cerebella work in there too. That Peacock picture is also really an amazing piece of work.